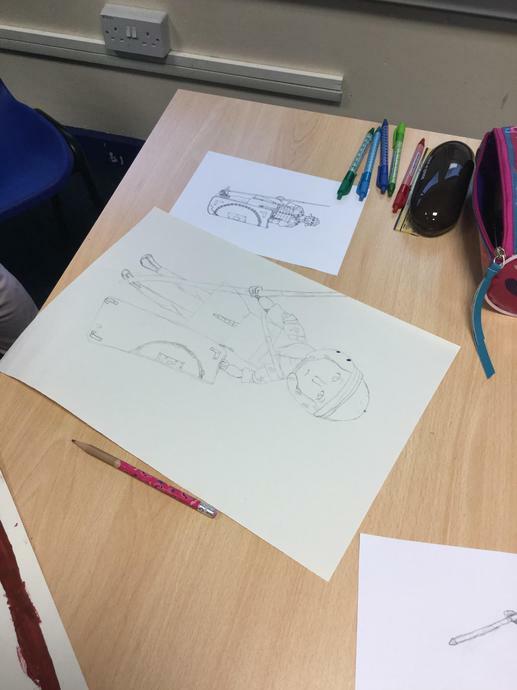 As part of our learning on the Romans, we have been looking at Roman legionaries and their job. 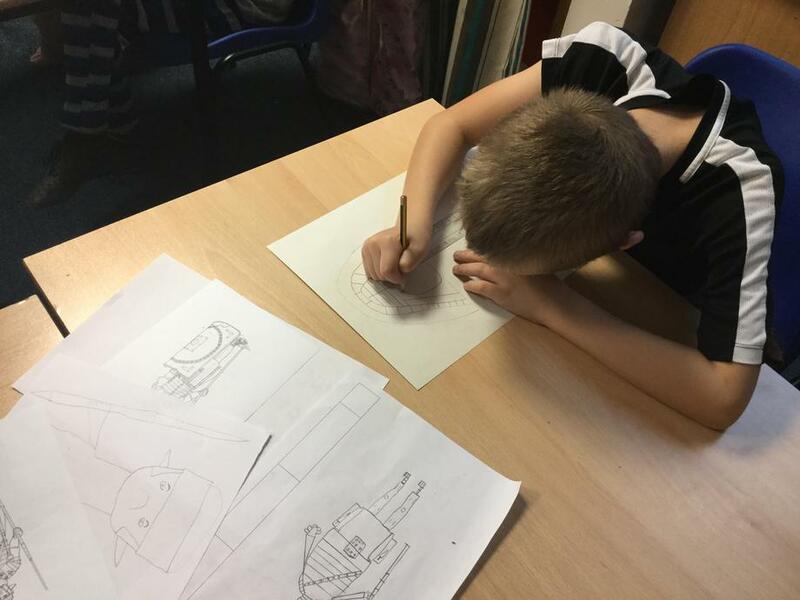 In our Learning Challenge lesson, we wrote diary entries as Roman soldiers and then we looked at their uniforms and weaponry. 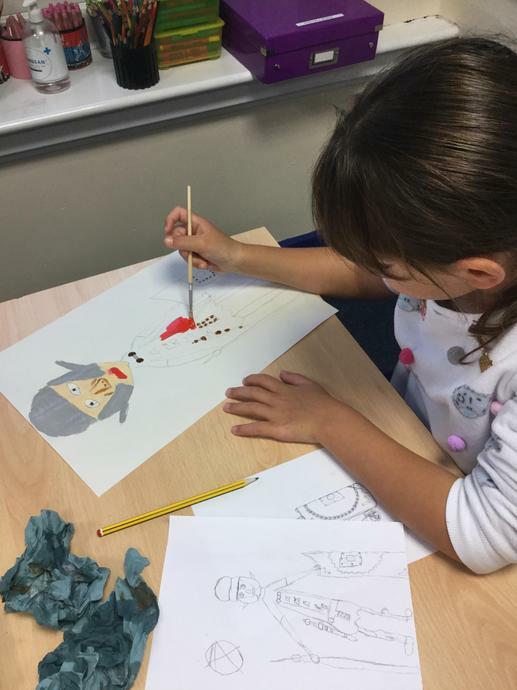 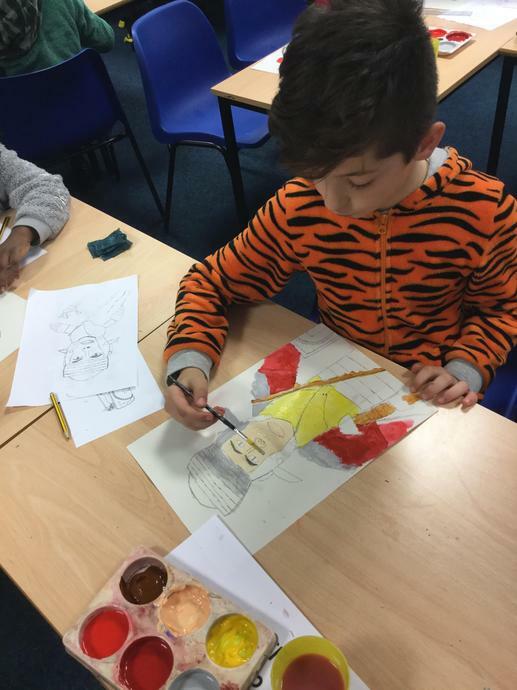 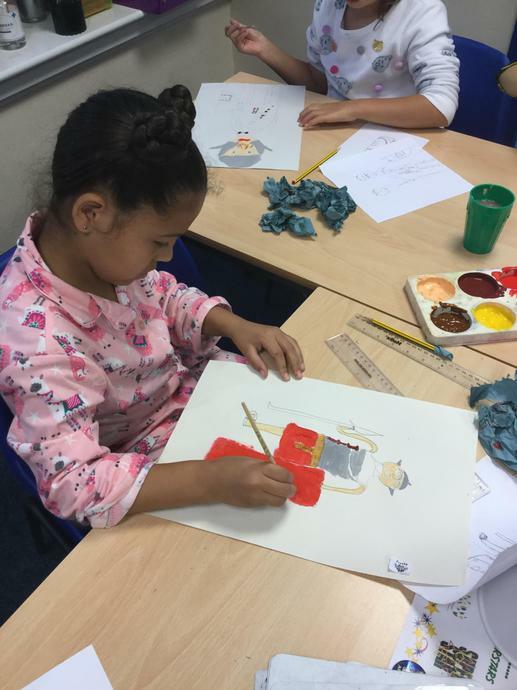 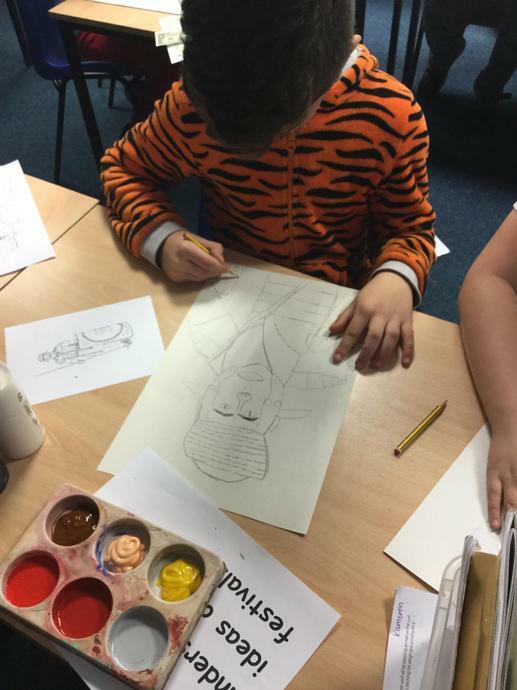 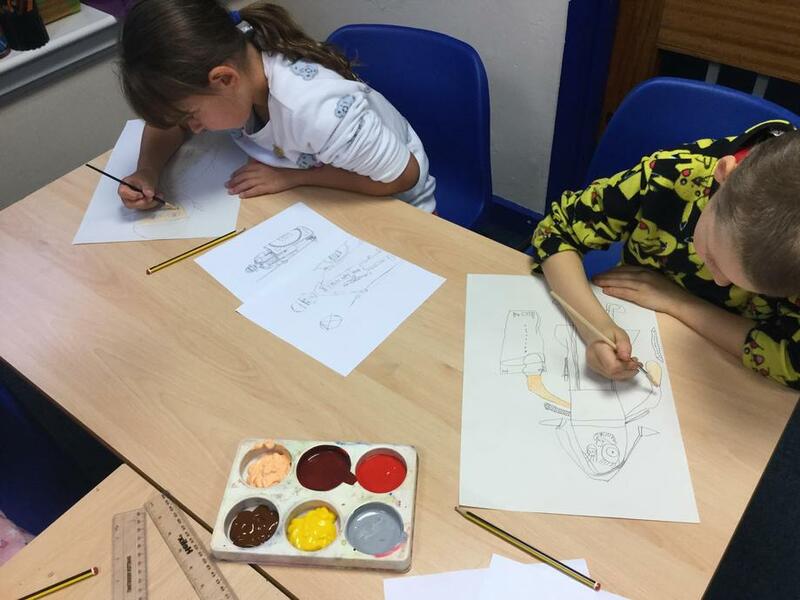 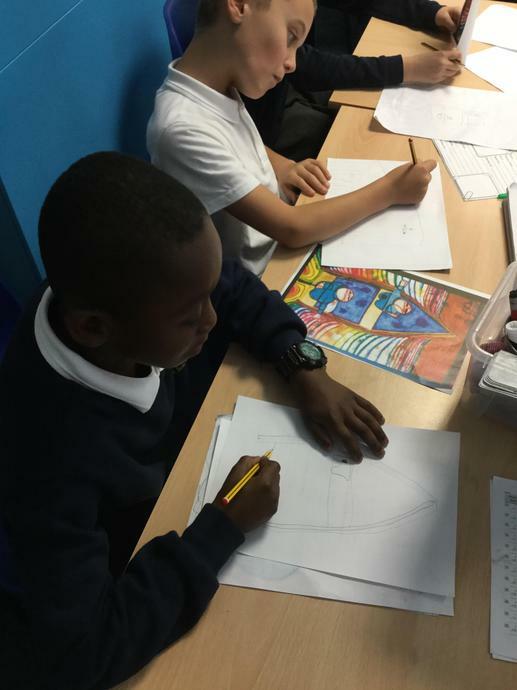 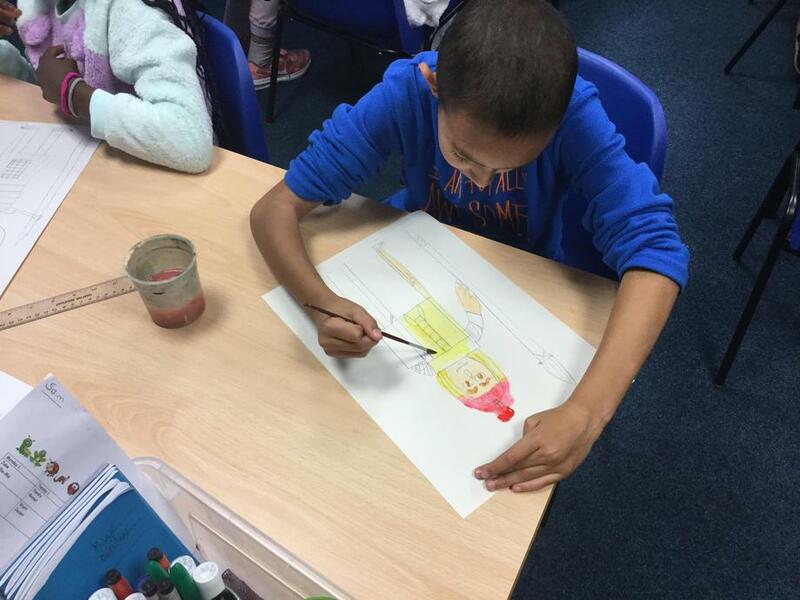 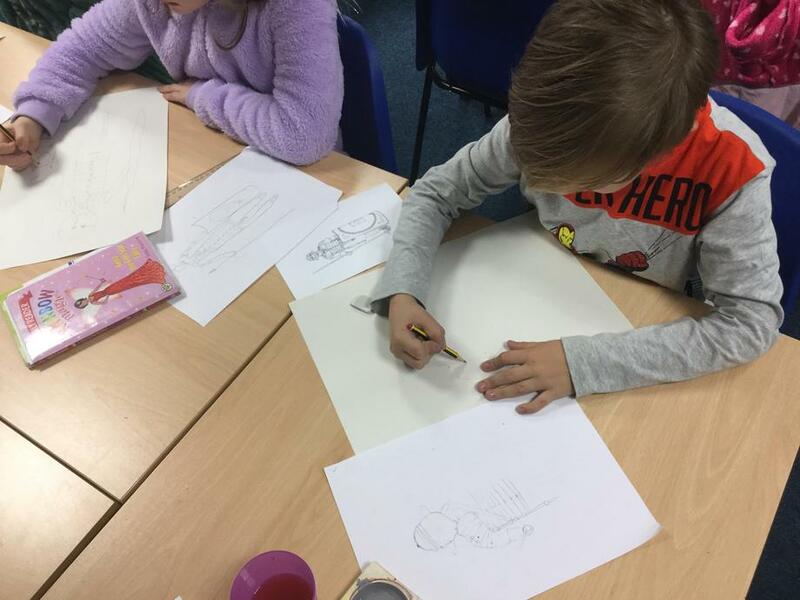 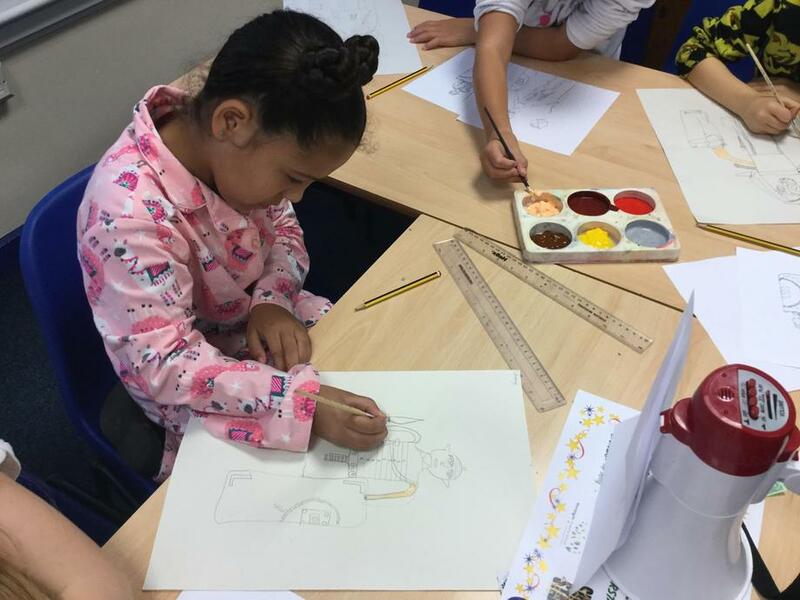 We then sketched our own Roman legionaries and painted them! 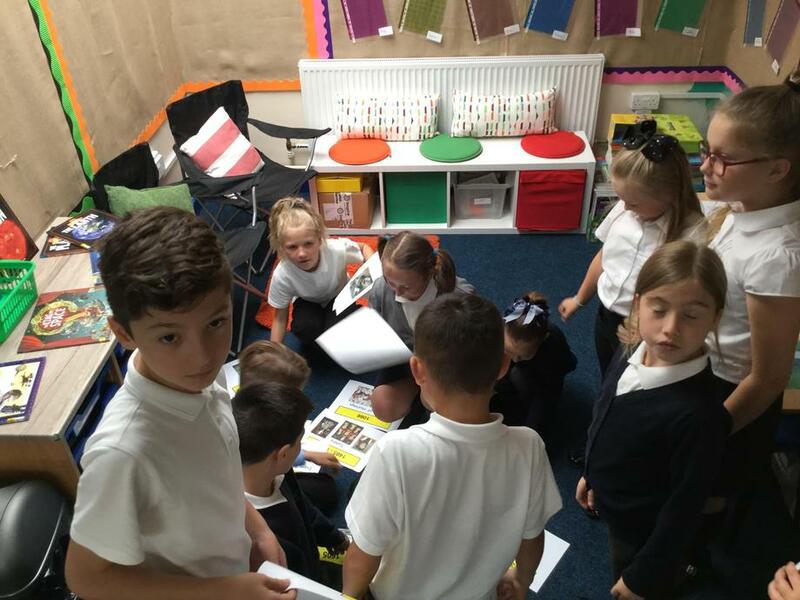 This week we have been identifying continents and countries using an atlas. 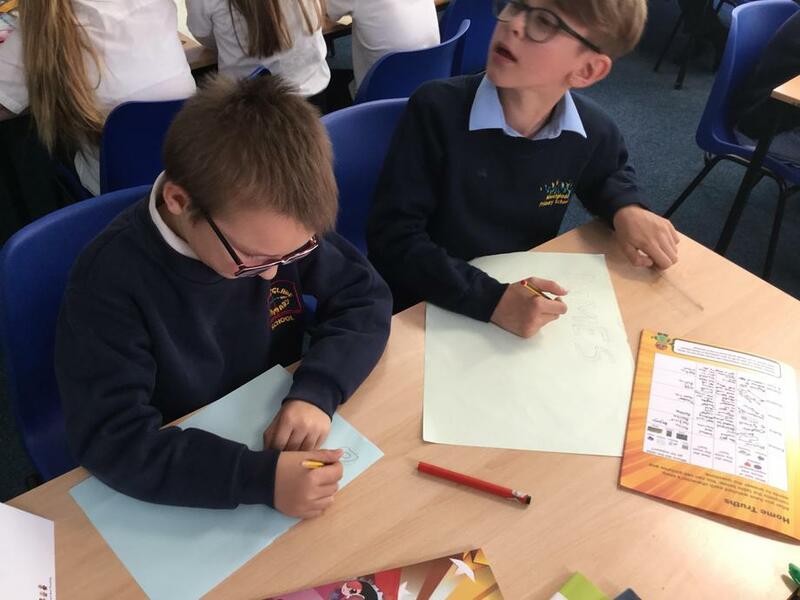 We looked at how far away Britain and Rome were from each other and then used old maps to mark out the spread of the Roman empire. 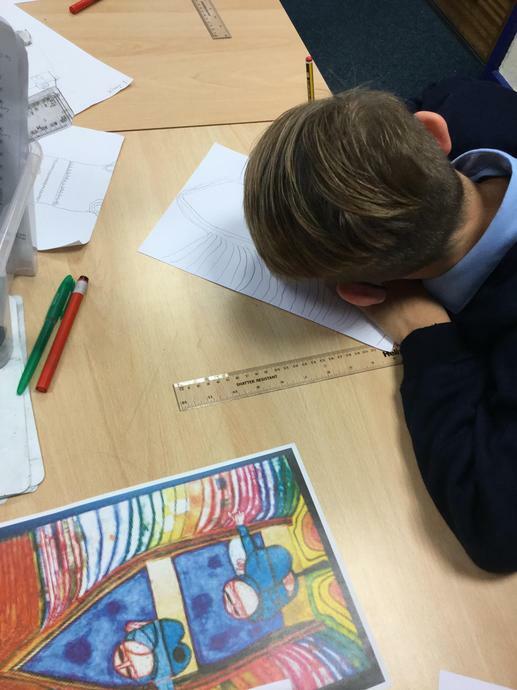 It was tricky because some of the boundary lines had changed between now and then so we had to look really carefully! 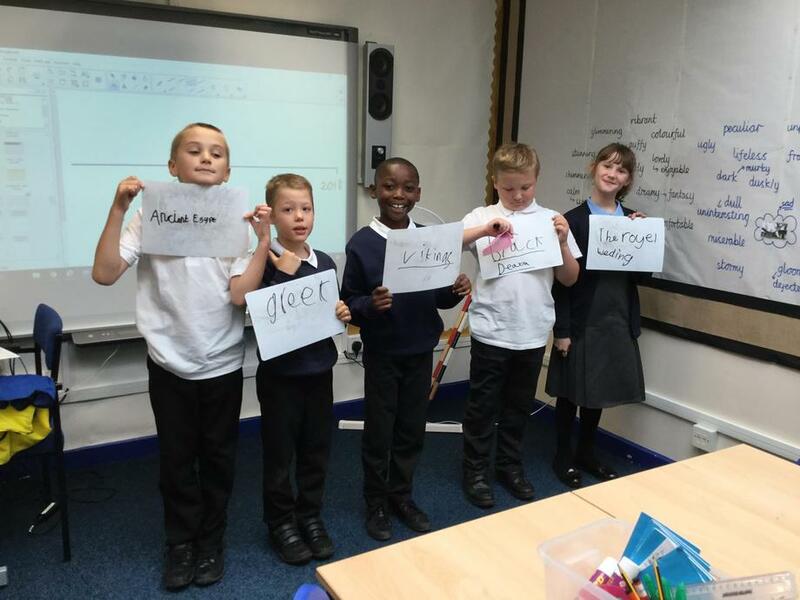 Also, some of the names of the countries were even different! 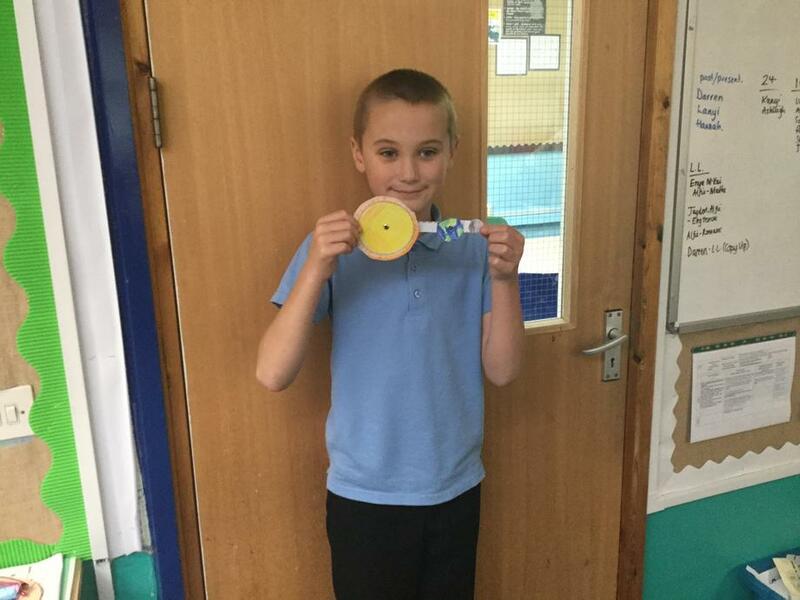 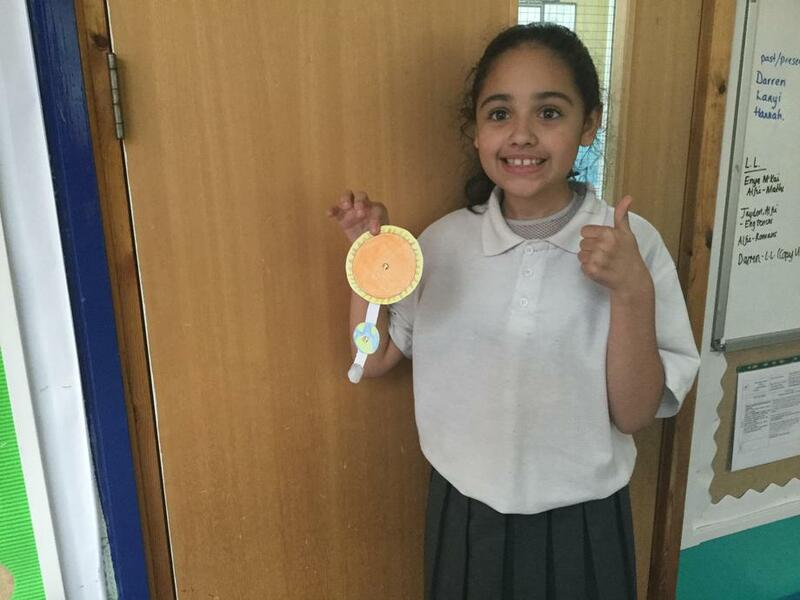 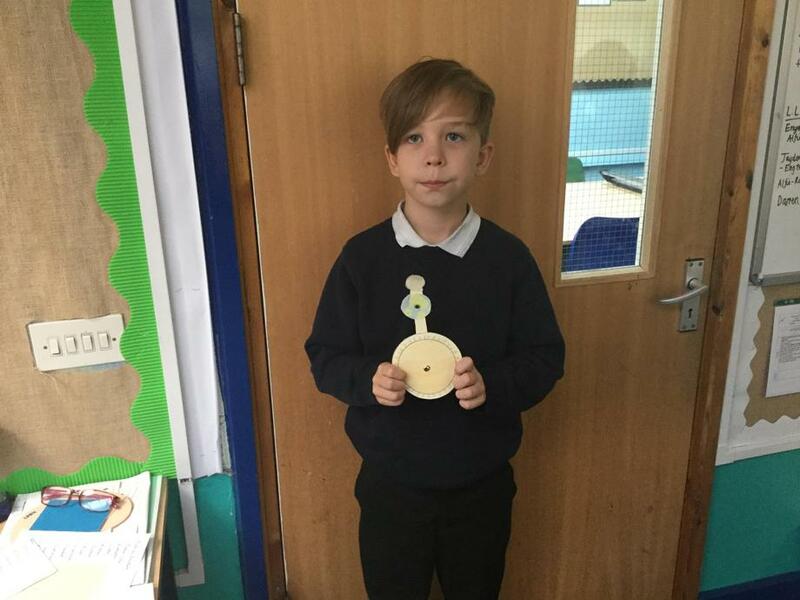 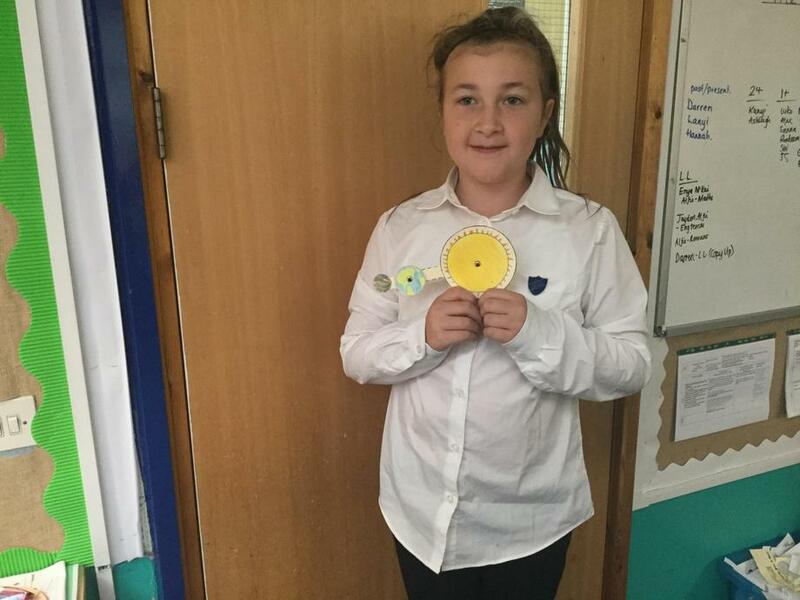 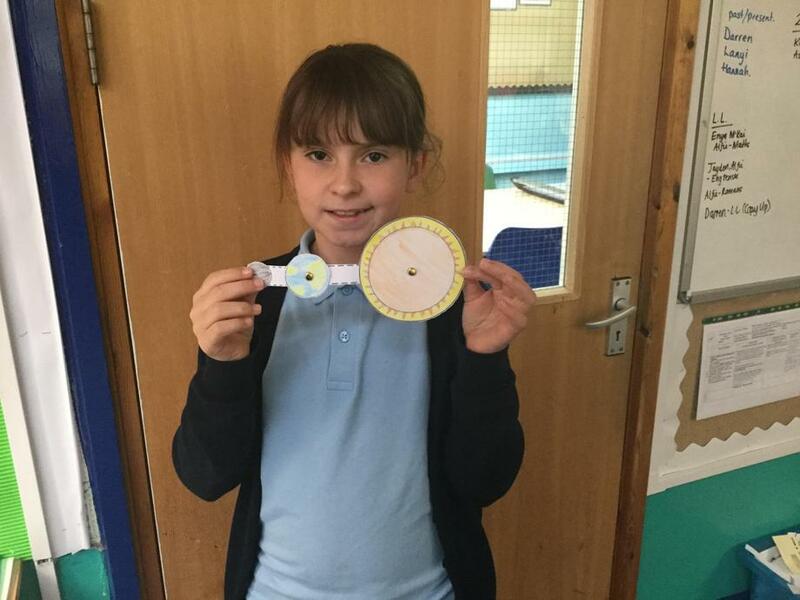 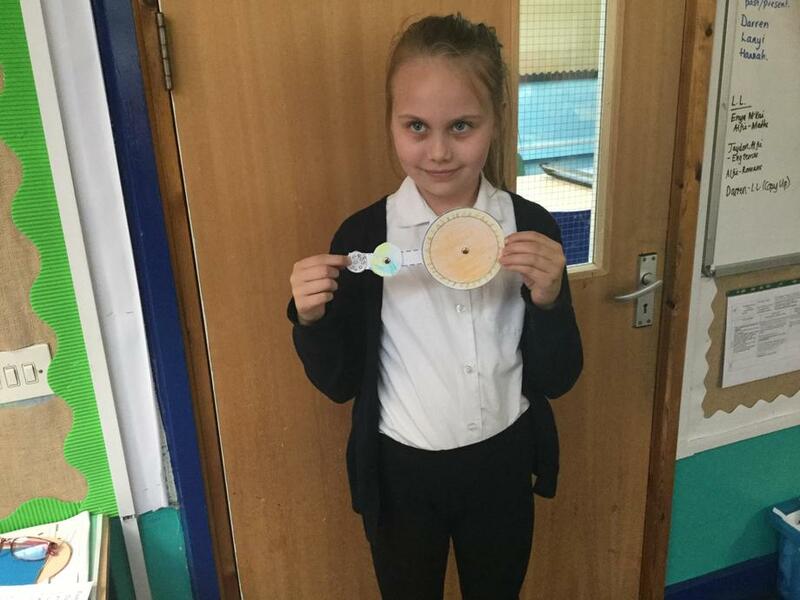 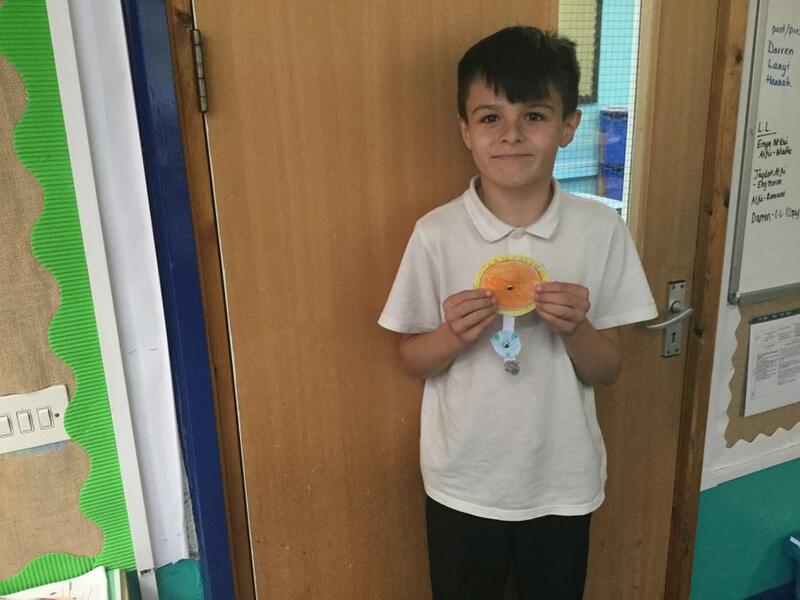 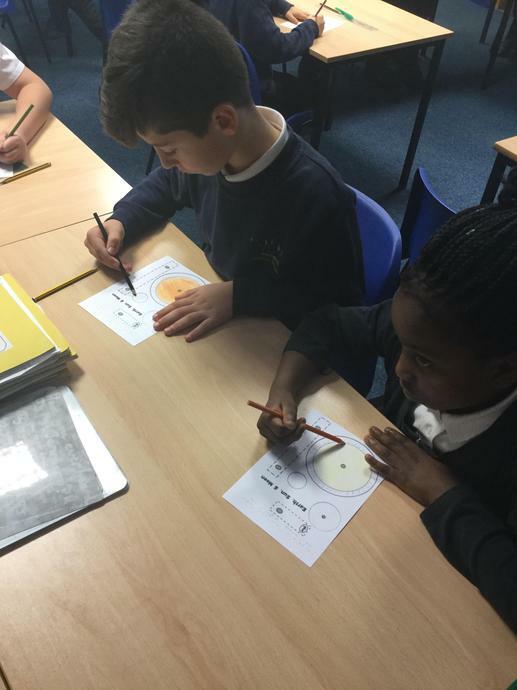 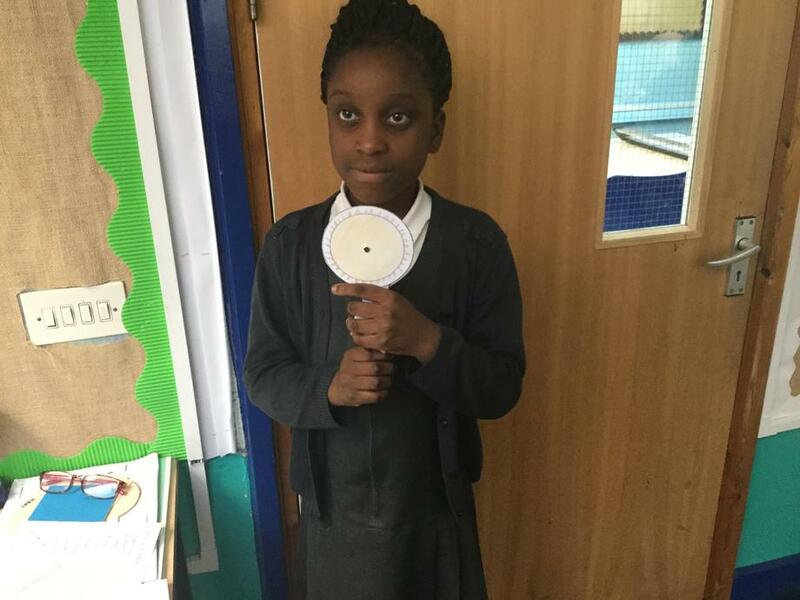 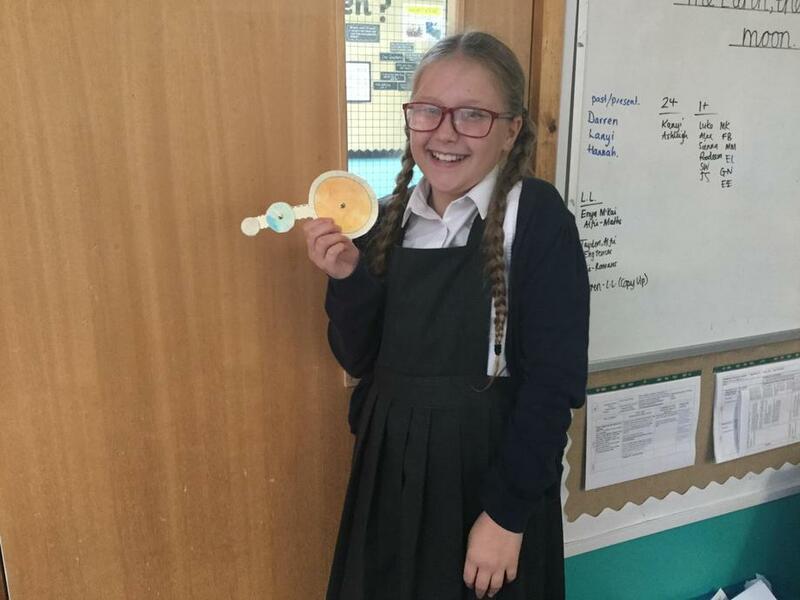 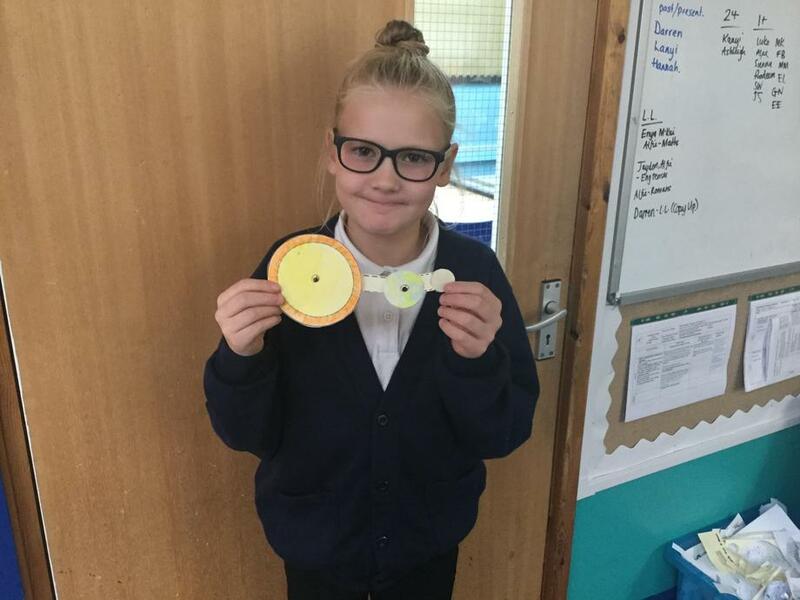 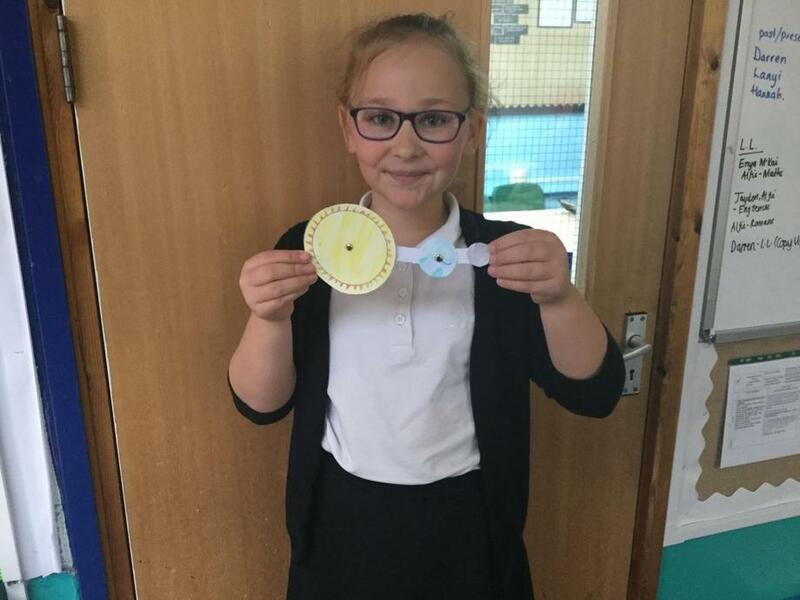 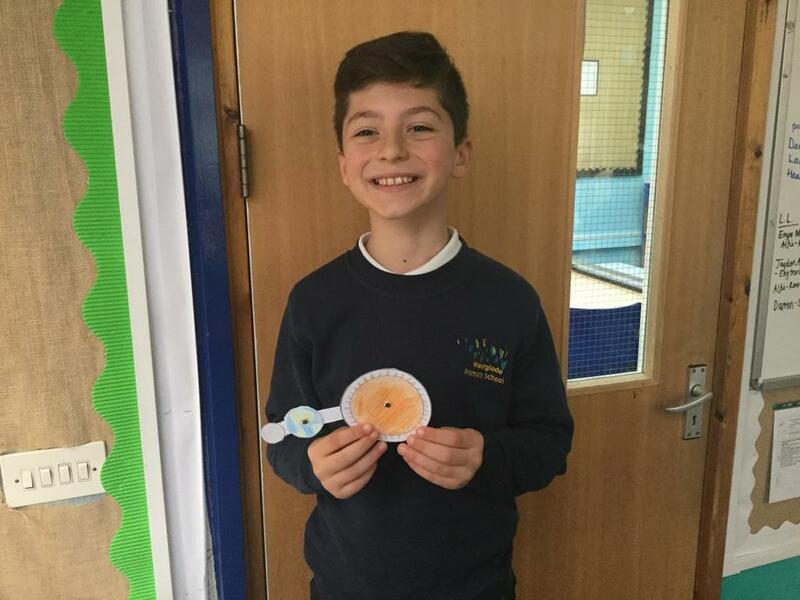 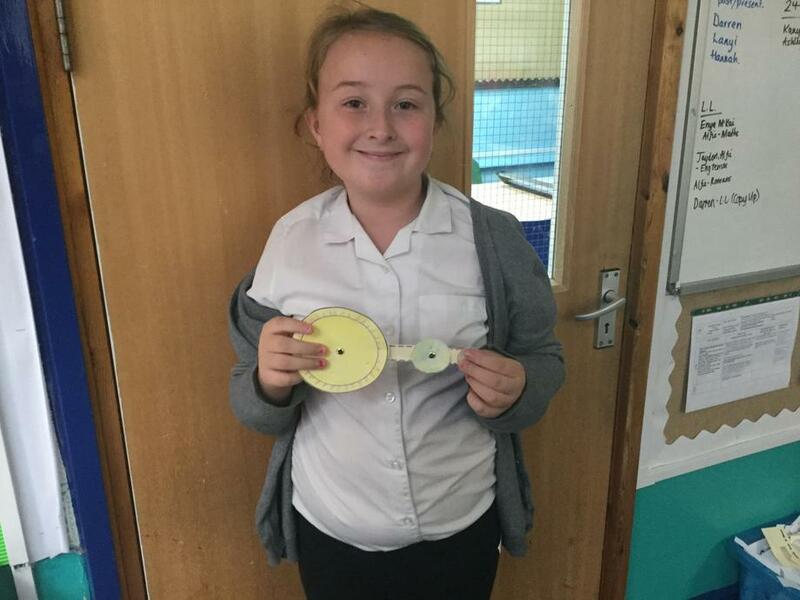 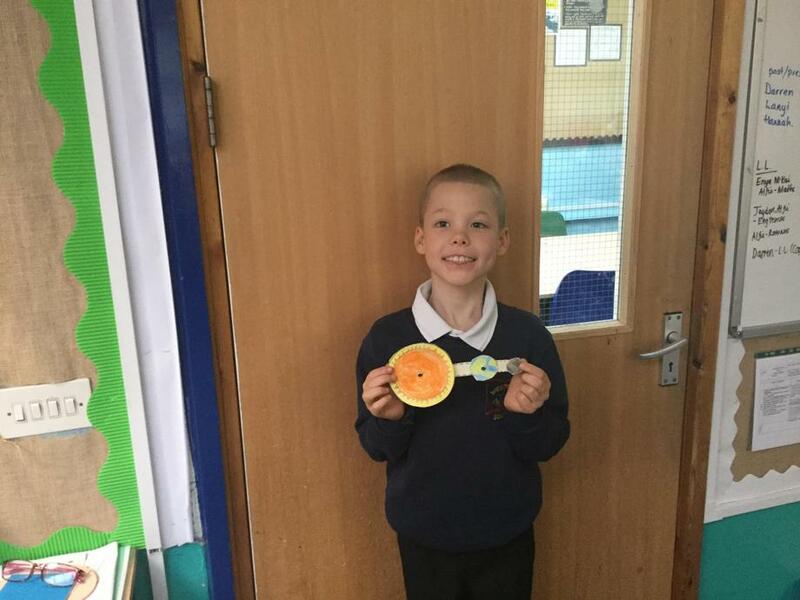 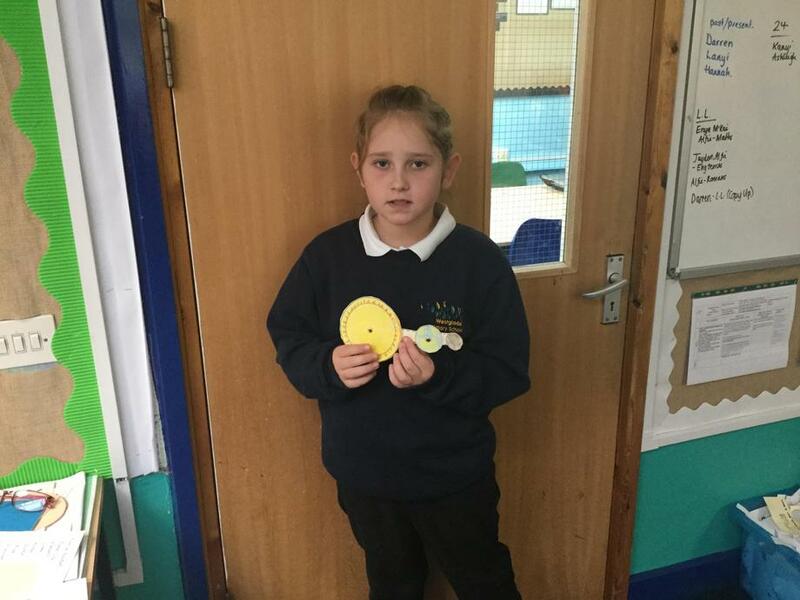 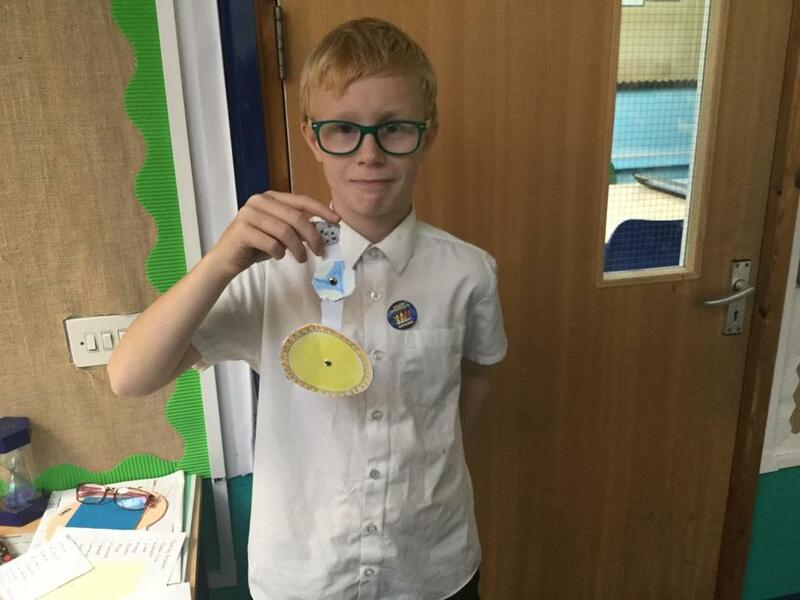 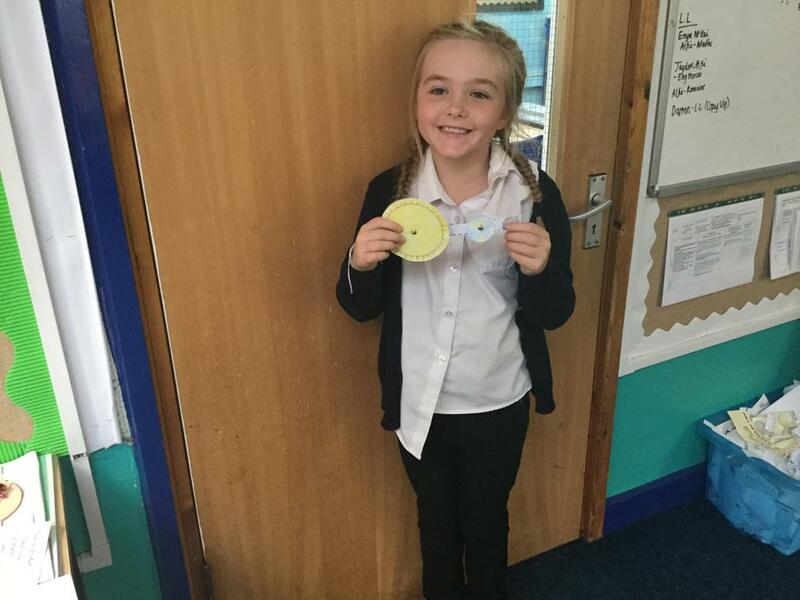 We have been learning about the orbits of the earth, the sun and the moon. 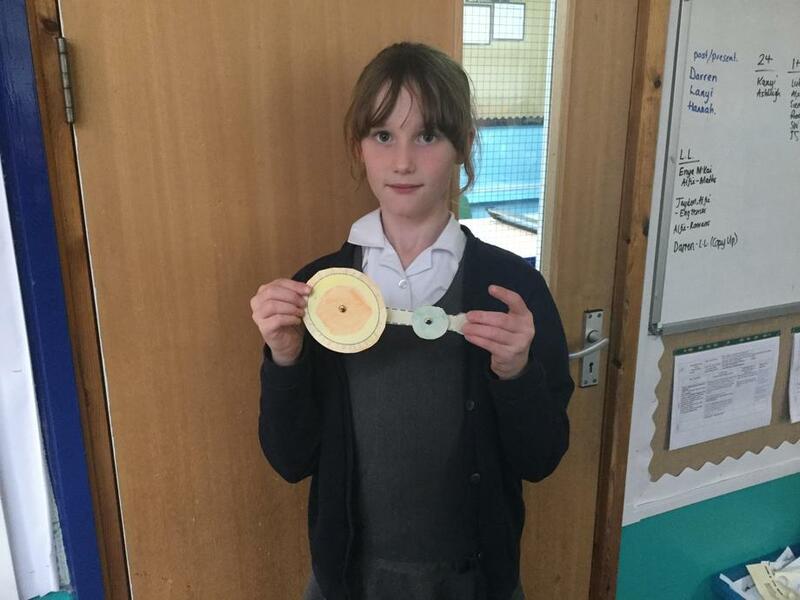 We created models to help us understand this difficult concept. 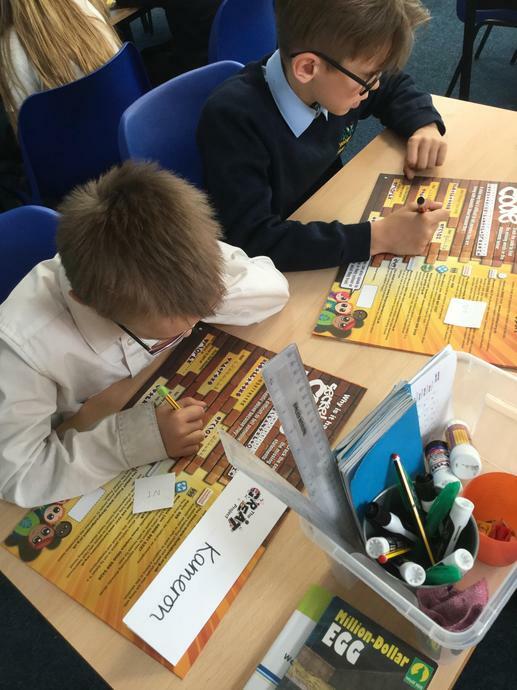 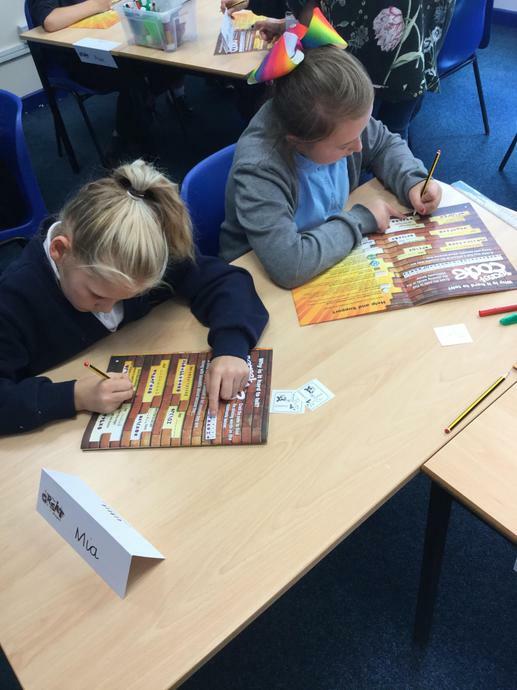 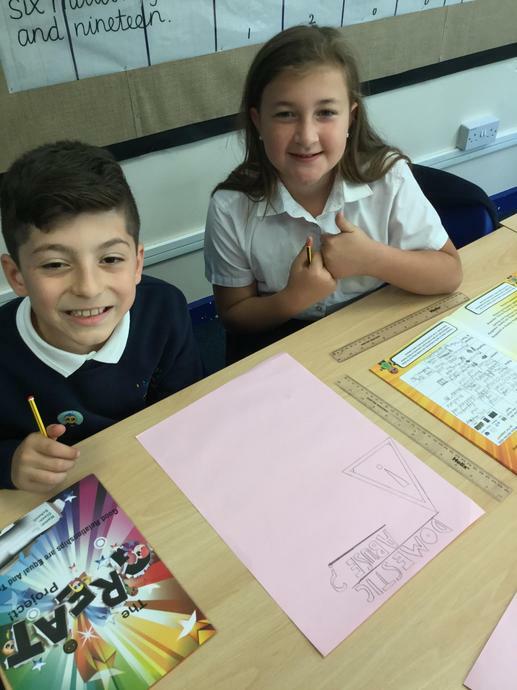 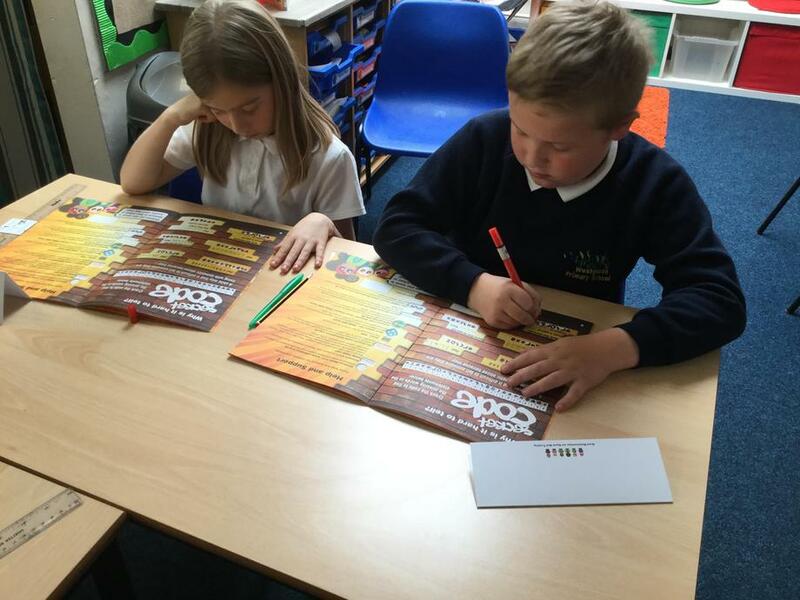 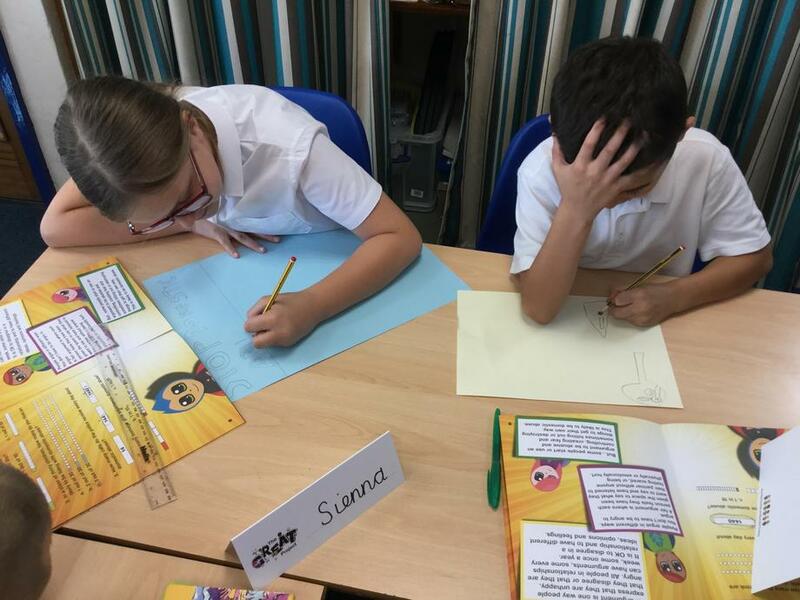 This week, we used our ELS books to help us create posters about our chosen subjects. 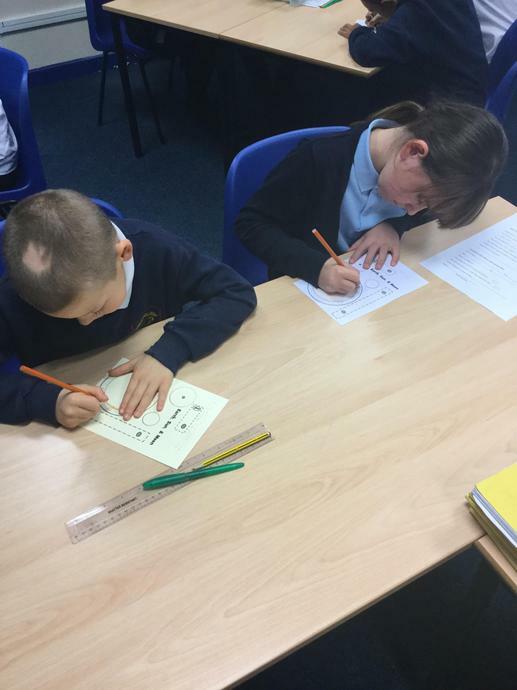 We then became experts in our chosen fields! 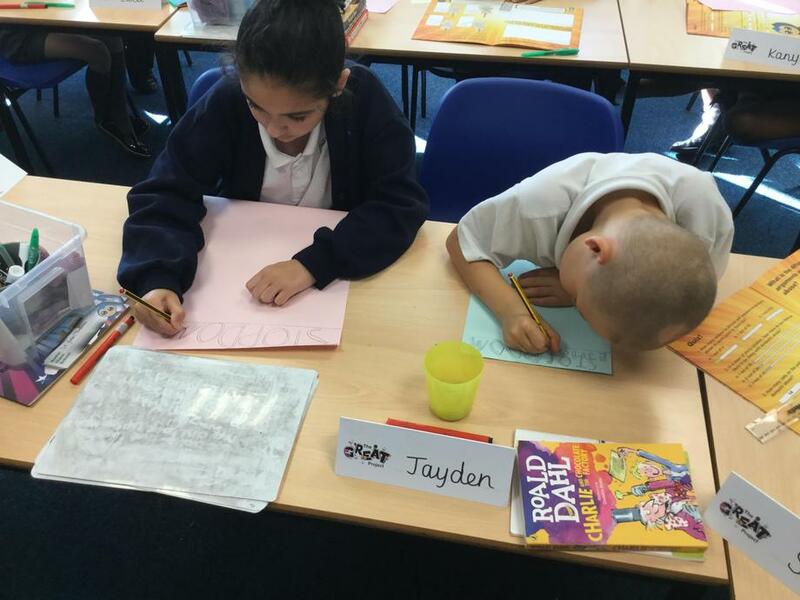 Today we wrote up our drafted and edited versions of our Big Writes using our neatest handwriting. 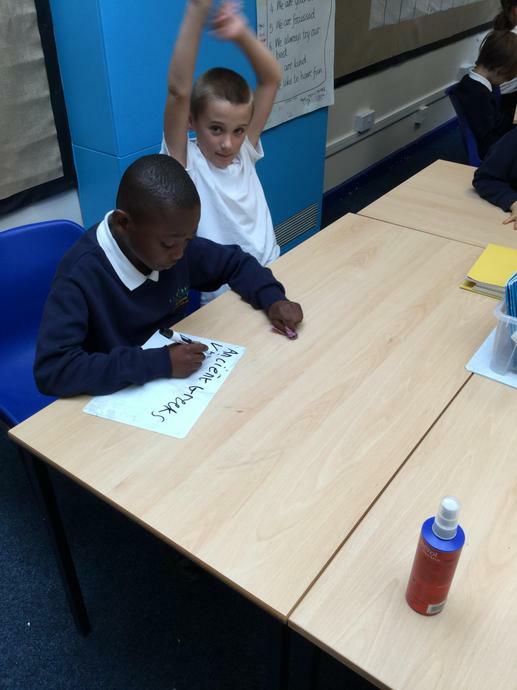 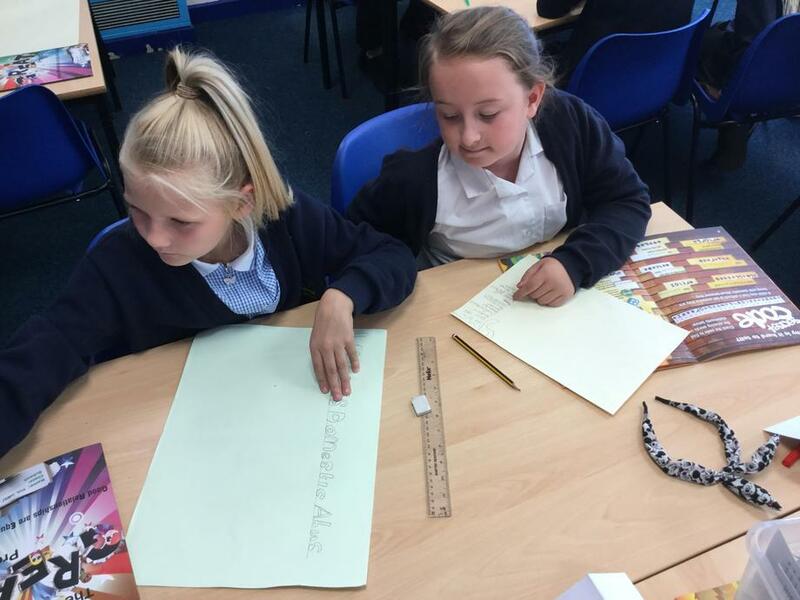 We love becoming authors in Year 5. 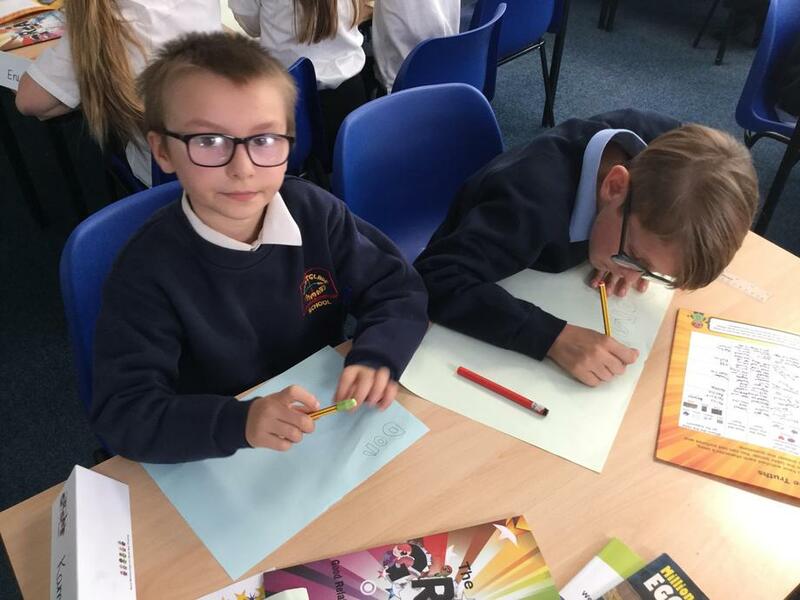 Come and take a look at our Writing Portfolios and see! 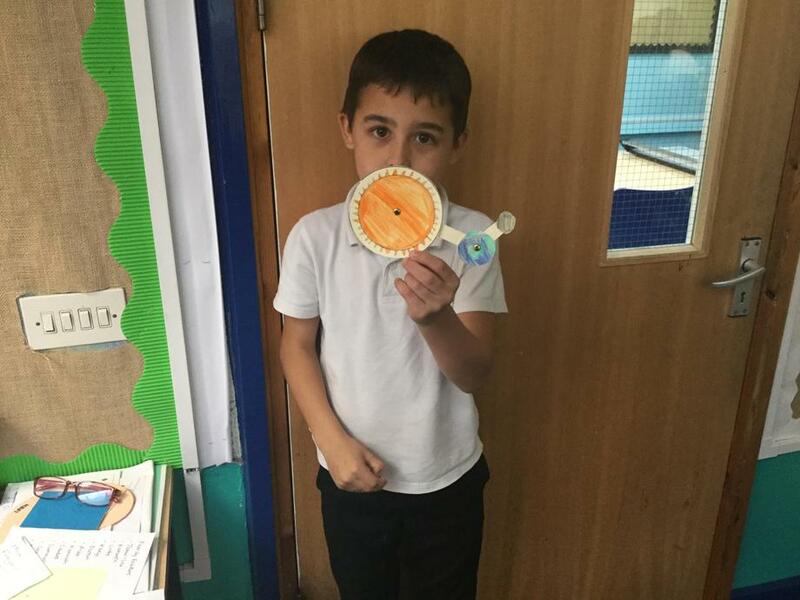 In Science this week we were introduced to our topic of Earth & Space. 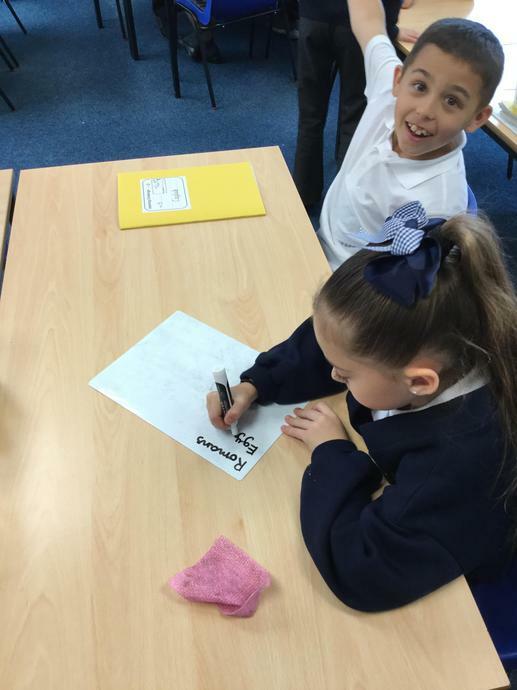 Miss Taylor set us a challenge to find out what we really knew! 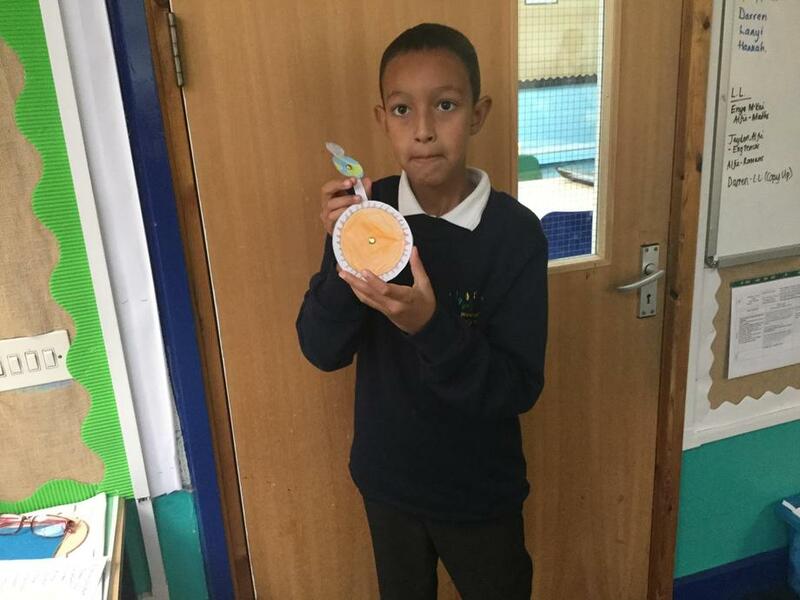 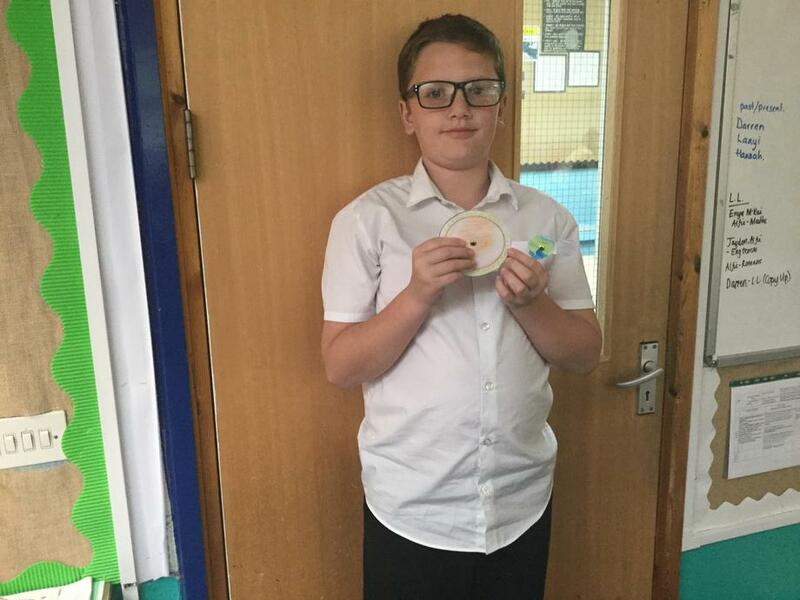 We were given a selection of balls that represented different planets and we were tasked with not only naming them but choosing the correct size planet and thinking about where it was placed in relation to the sun. 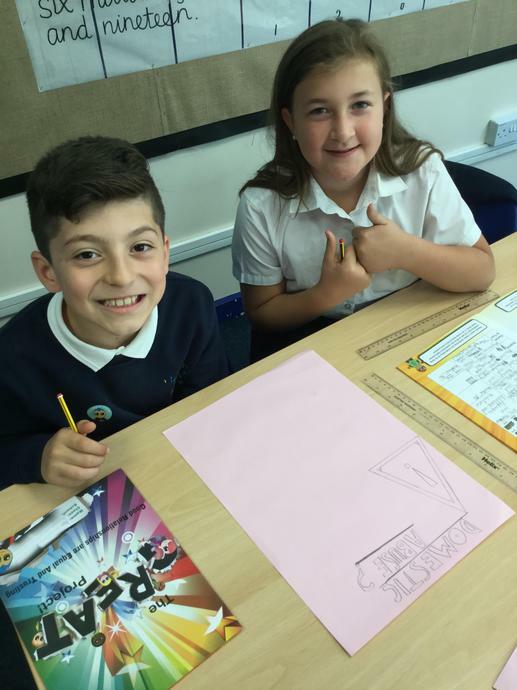 It was tricky but we had good fun having a go and working as a team. 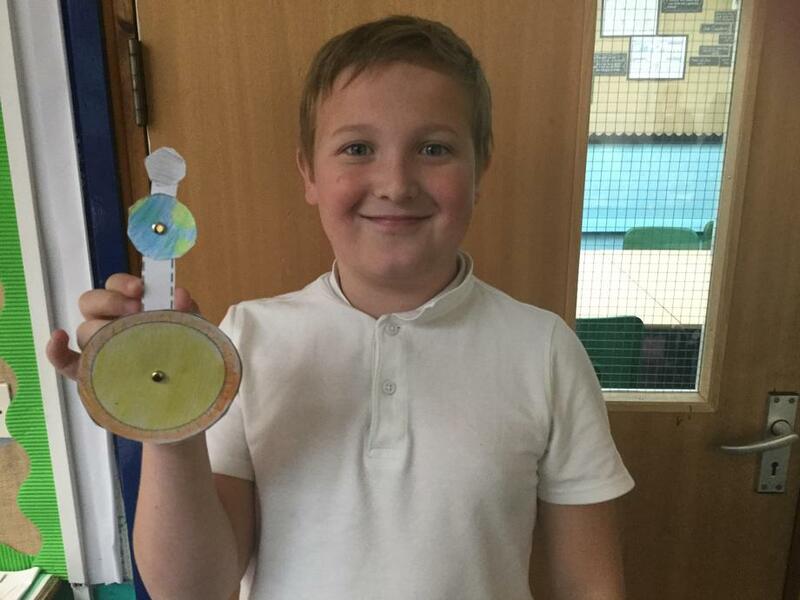 Afterwards, we then created an entire solar system that could fit into our pockets! 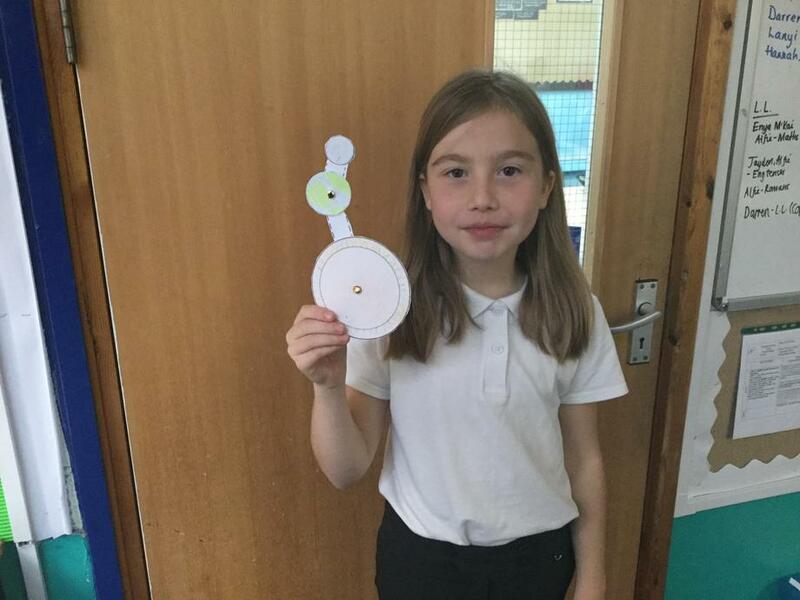 We didn't think it was possible to begin with but it really helped us to understand how far away each planet was not only from the sun but also from each other. 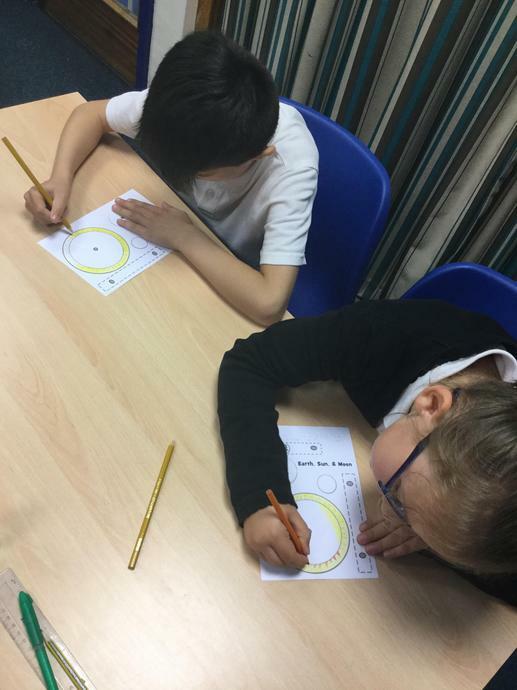 We learnt a mnemonic to help us remember the order of the planets - it goes 'My Very Easy Method Just Speeds Up Naming (Planets)'. 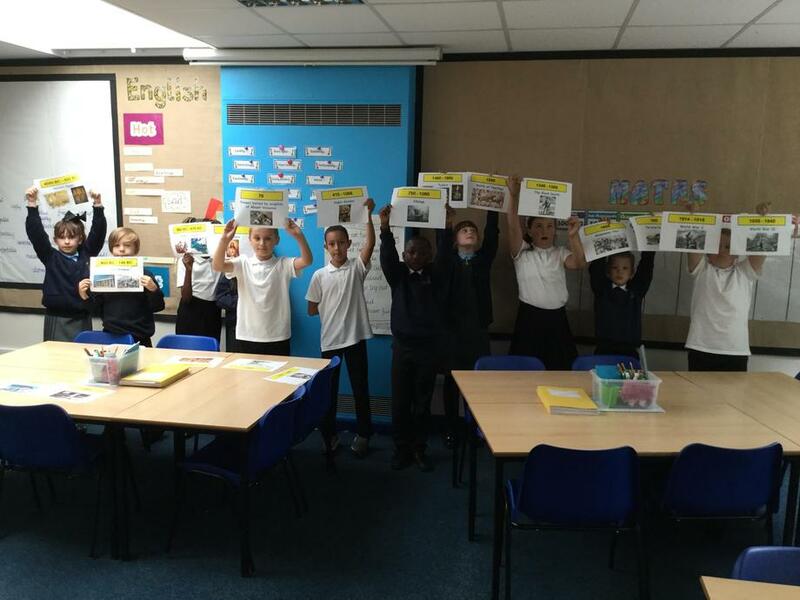 In our Notts County session this week, we played a game called handball. 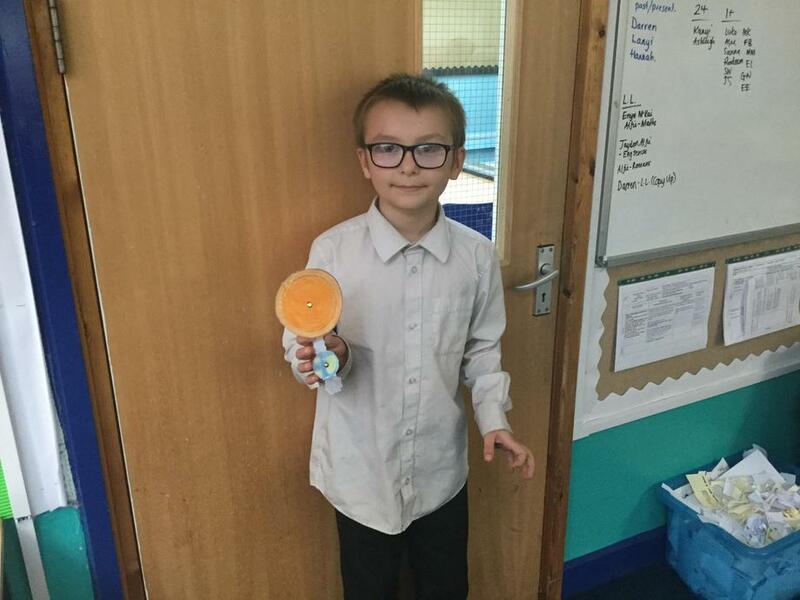 If you have the ball you can't move around and you're not allowed to kick the ball. 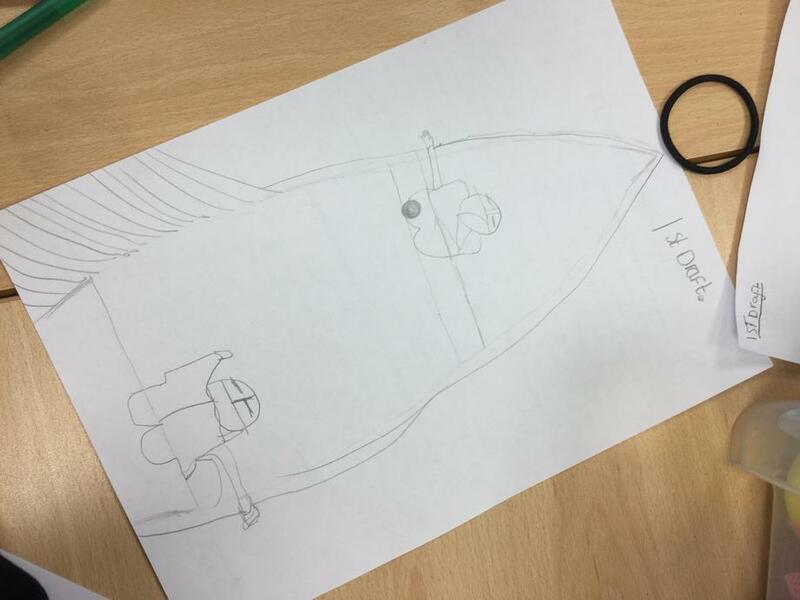 To score a goal, you have to throw it in between the cones. 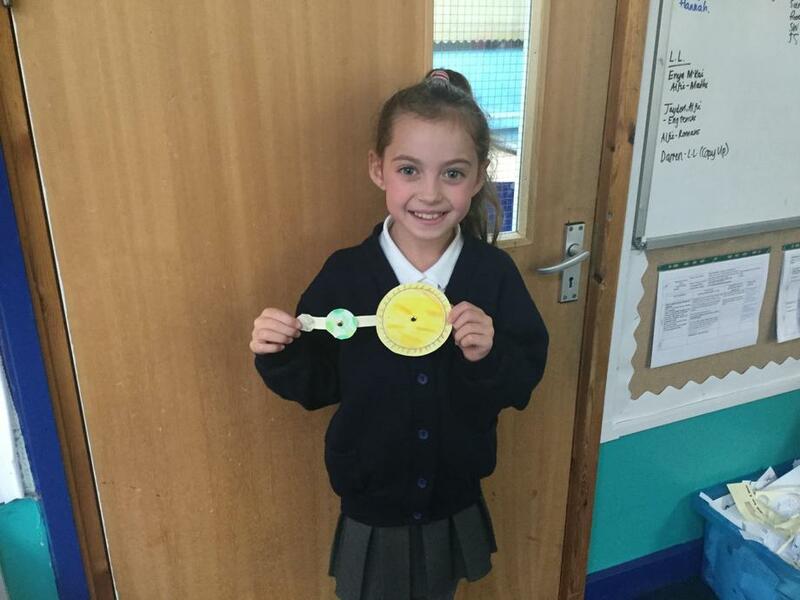 Our certificate winners this week were Jamie, Mia, Jamie-Lee and Redeem! 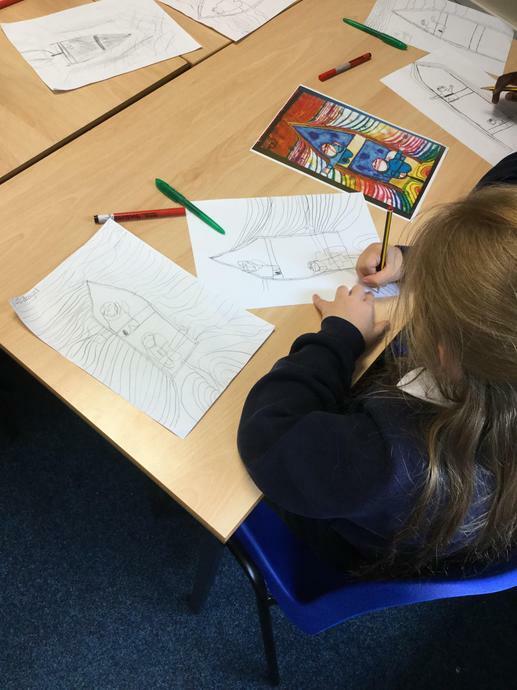 As part of Art Week, we have been looking at the work of an artist called Friedensreich Hundertwasser. 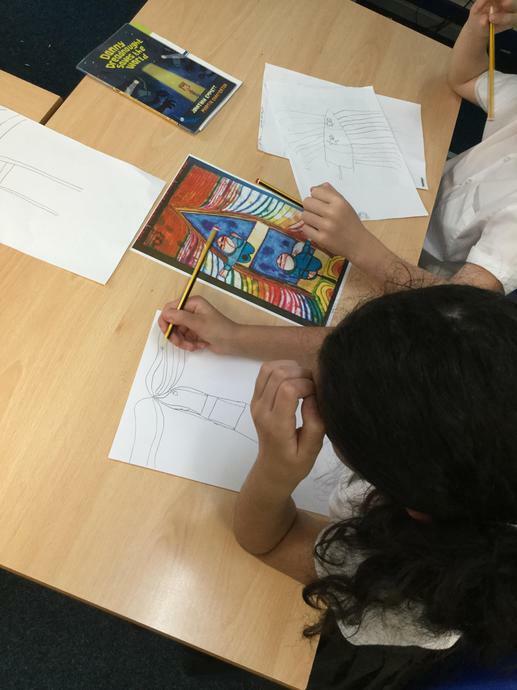 We have learnt that as well as being a painter, he was also an architect, ecologist and visionary. 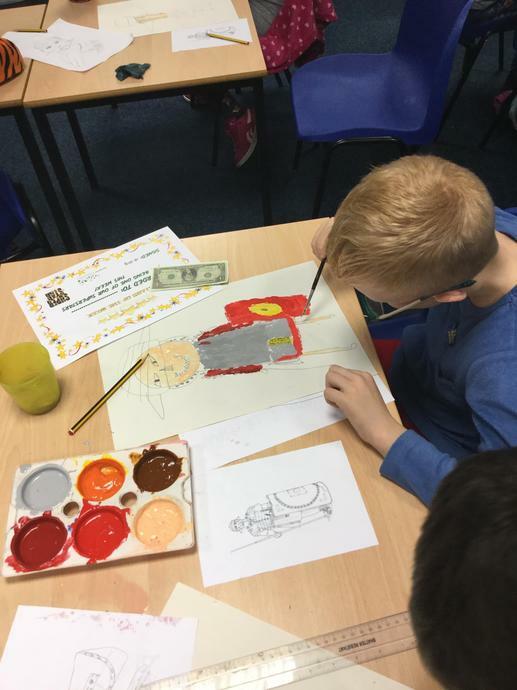 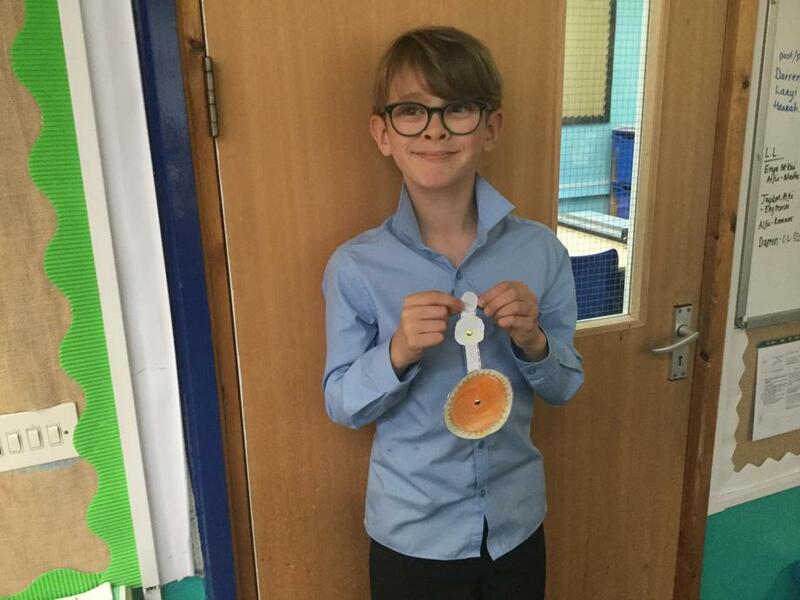 We learnt about his idea of the 'three skins' - the first skin being your actual skin, the second being the clothes you wear and the third being your home or the 'shell around you'. 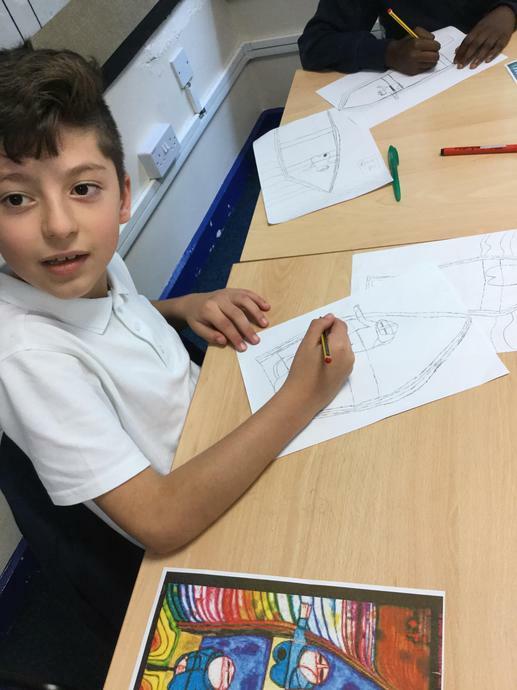 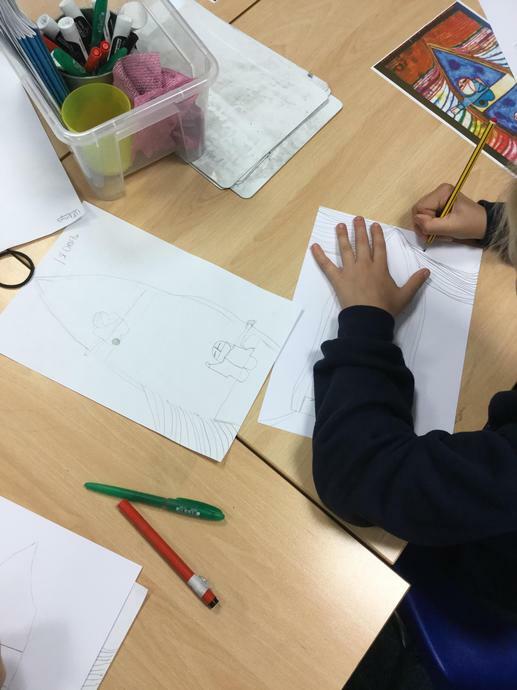 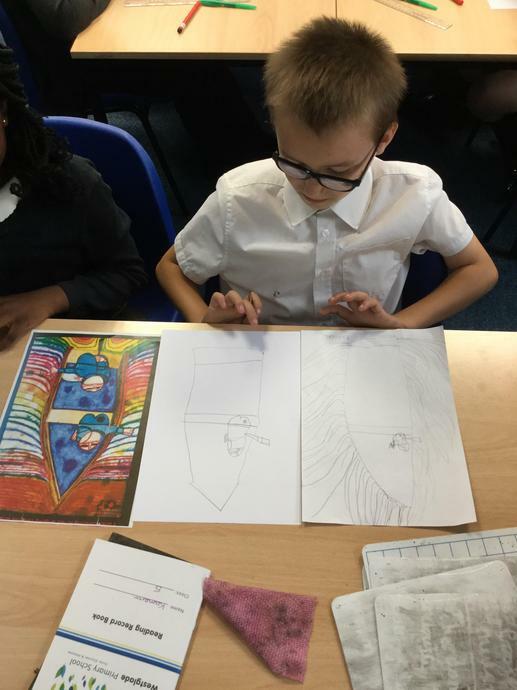 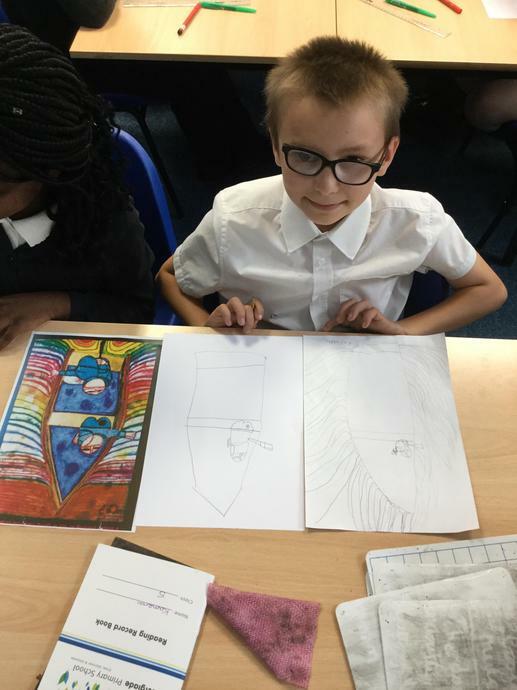 We had a go at doing a first draft of one of his pictures and then we peer critiqued them to identify how we could improve them. 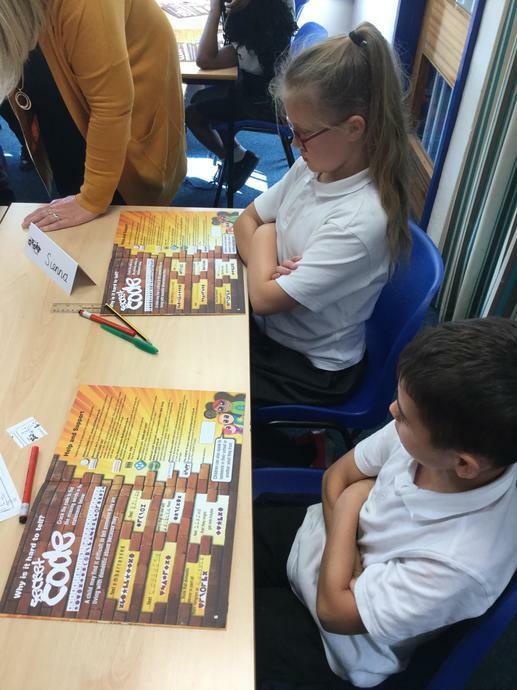 We then had a go at at creating a second draft focusing on the comments we had been given. 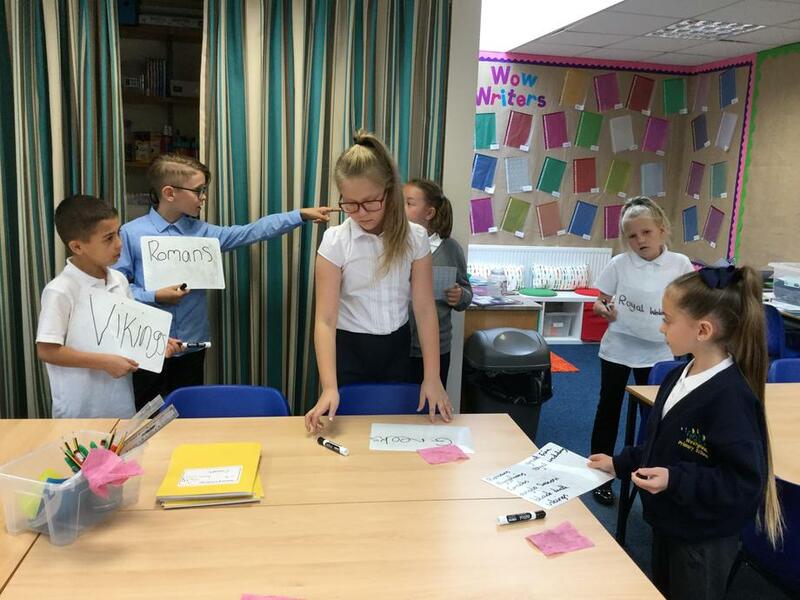 In History this week, we started to think about where the Roman Empire came in History. 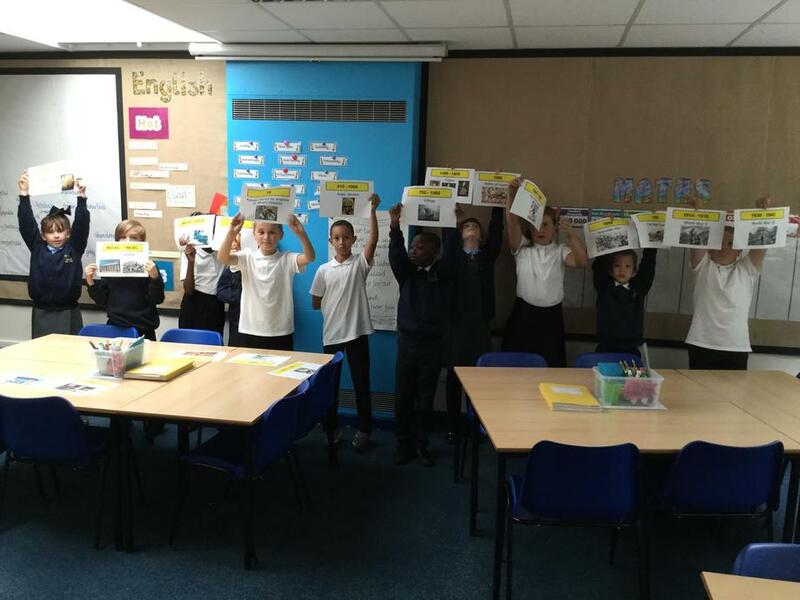 We thought about all of the periods and events that we already knew such as the Anglo Saxons and the Great Fire of London and we tried to place them into chronological order. 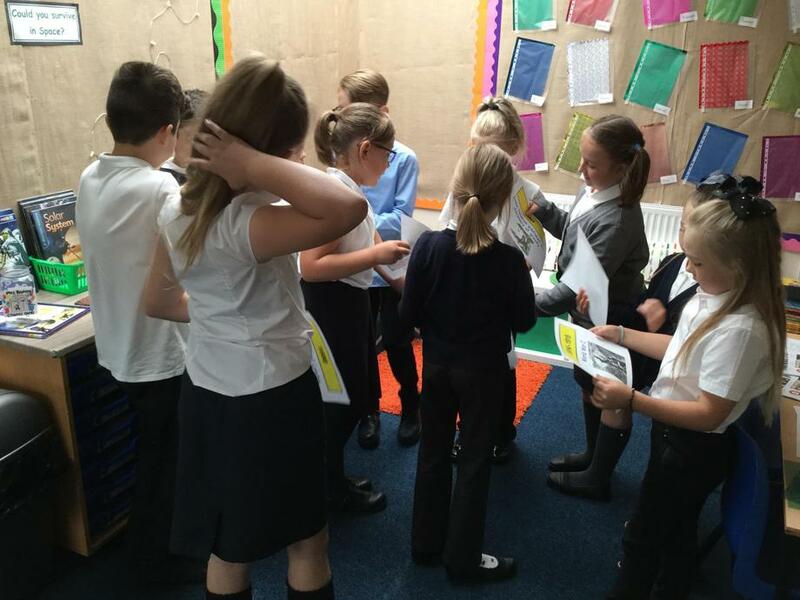 We then looked at an actual timeline to see if we had ordered ourselves correctly. 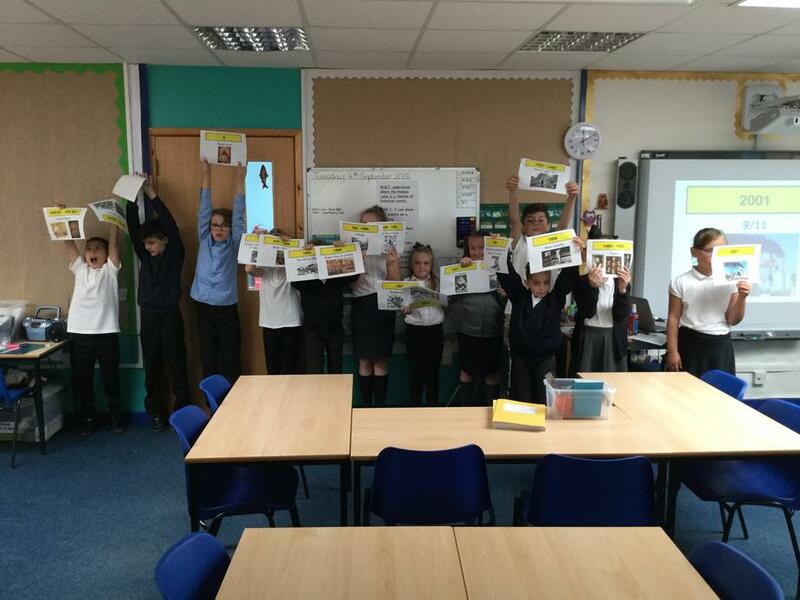 We then used this information to create our own timeline of historical events!